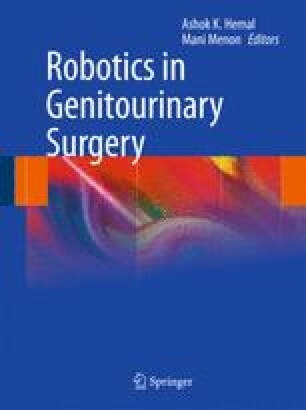 Current robot-assisted radical prostatectomy (RARP) data suggest comparable and, perhaps, improved pathologic outcomes when compared with laparoscopic and open techniques. In mature RARP series, overall positive surgical margin (PSM) rates have ranged between 9 and 19%. Independent risk factors for PSMs include lower surgeon case volume, pathologic stage and Gleason sum, lower prostate weight, higher pre-operative PSA level, and PSA density. Other possible prognostic indicators include biopsy Gleason sum, body mass index, and neurovascular bundle preservation. Various surgical techniques and tailoring nerve preservation based on disease severity appear to improve cancer control during RARP. The most common locations for PSMs during RARP are posterolateral and apical, but location and number do not appear to impact recurrence. An extensive PSM, however, does appear to be an adverse prognostic finding. Short- and mid-term biochemical recurrence-free survival appears equivalent for robotic, laparoscopic, and open radical prostatectomy. Unfortunately, the RARP data are too immature to estimate cancer-specific and overall survival.